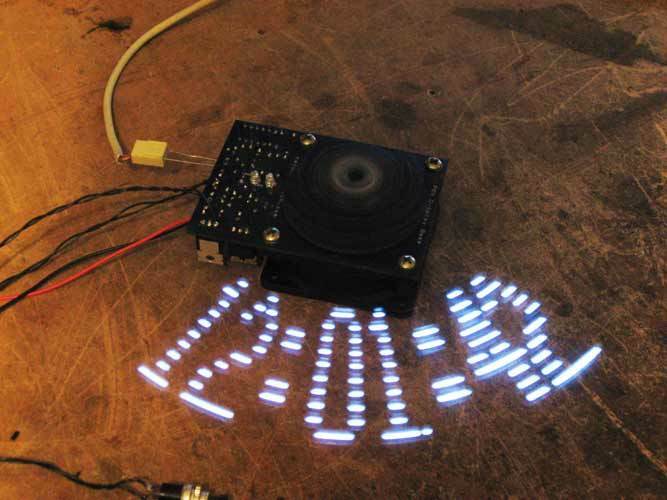 A 10 LED persistence of vision (POV) propeller display powered by an ATMega328 with Arduino Uno bootloader that can be programmed for the display to show a clock, message board, or wherever your imagination takes you with the Arduino code. The display running diameter is 9 inches with the LED column filling the outer 2 inches. The 3 boards are designed around readily available parts and uses all through-hole components, so you can put down the tweezers and push the oversized magnifying glass out of the way. The design is documented as Version 4 at www.electronixandmore.com. 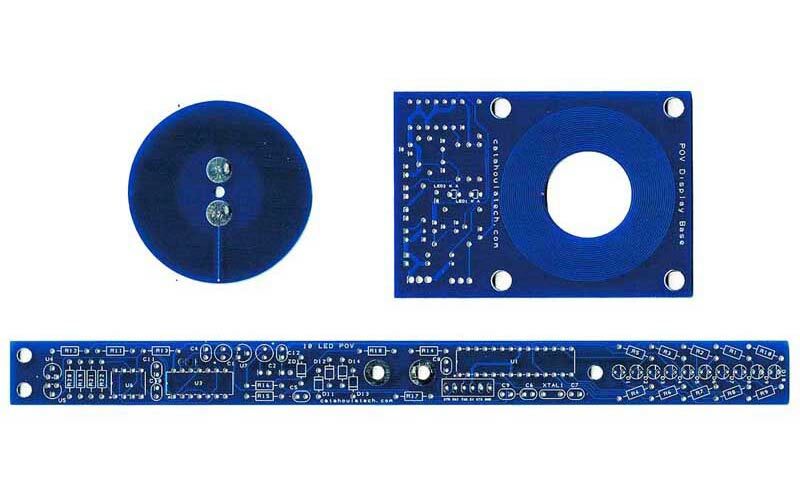 The POV base PCB takes in 9-12VDC, mounts on an inexpensive standard 60x60mm PC fan, and contains a low cost switching supply driver for an air-core PCB transformer primary to supply power to the POV spinning boards. 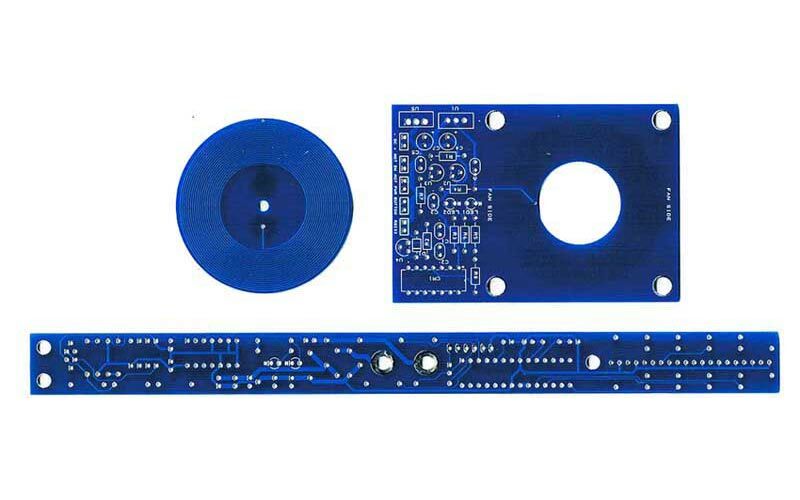 The round PCB is the transformer secondary that supplies power to the third long and narrow PCB for the POV display. 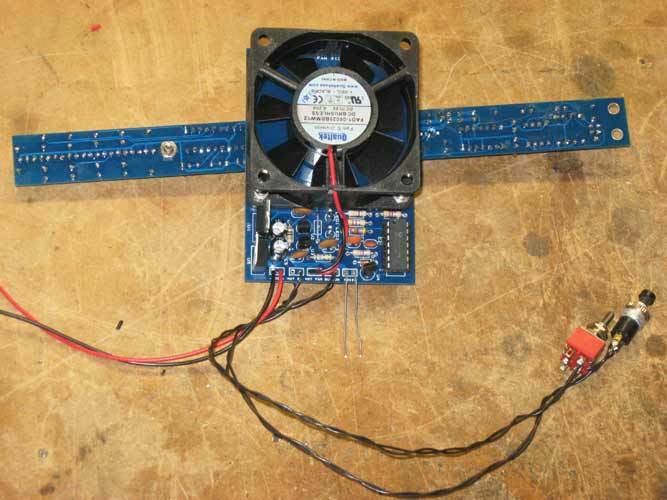 The PC fan is used to spin the secondary transformer and POV display board. There are 2 IR LEDs on the base that couple to 2 phototransistors on the POV board. 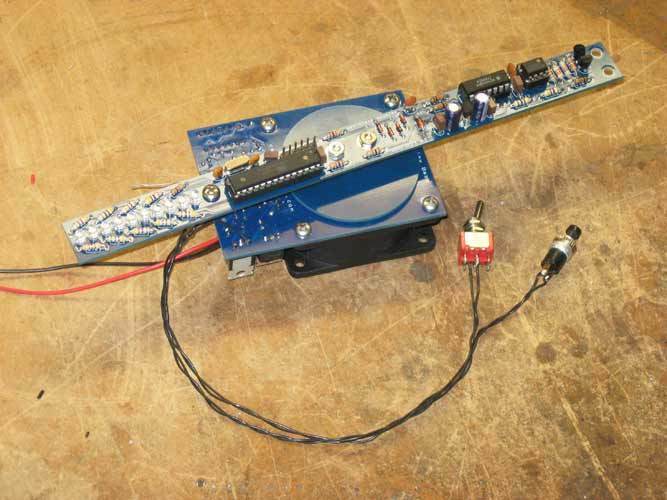 The first LED is on all the time and is used to provide a position reference for the spinning board. The second LED can be controlled from a pushbutton for purposes such as setting the time or changing the display modes if desired. RS232 transmissions can be sent to the POV display for messages or possibly pixel graphics. 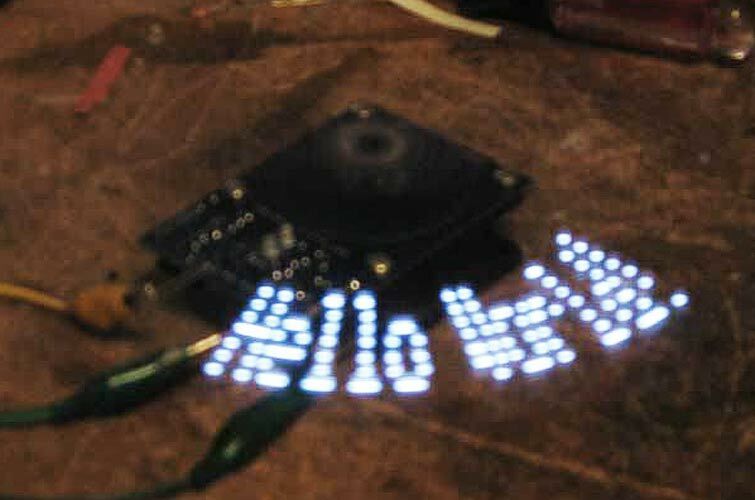 The display can be used to show a 360-degree scrolling message stream from your PC. Example Arduino code for the POV display is provided on www.electronixandmore.com. Be sure to check out the video! POV display: 0.75" x 9"
Included are a set of 3 boards as pictured, screws, nuts, and spacers needed to complete the mechanical assembly as indicated in the complete parts list document. All other electronic components including the PC fan and discretes are not included. 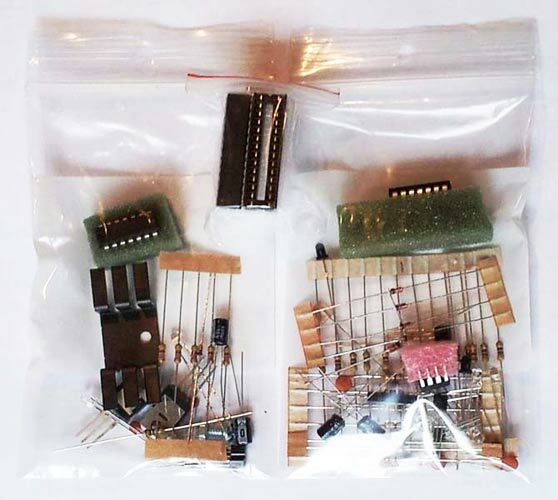 A component kit (COM-0020) below is available for populating the PCBs (see below). Included are all components needed to populate the PCBs only. External components such as the PC fan are not included. The ATMega328 comes with Arduino Uno bootloader but will not come with any particular pre-programmed POV code.